It all starts with an idea. Inspiration strikes suddenly or simmers over time, and founder(s) decide to commit their time and effort to bringing the idea to life. During this initial period, the development of the idea and supporting business plan are funded through bootstrapping or from friends, family and fans (FFF). Bootstrapping is when co-founders fund the nascent business with their own resources. In some cases, this can include the proceeds of a previous enterprise that has been exited. In most cases, the individual's savings, salary (if other employment is maintained) and credit cards are used. The benefits of bootstrapping are that the co-founders maintain 100% control of the company, and, as Zach Cutler described of his experience in an Entrepreneur article, “not having funds to throw at problems forces you to come up with cost-effective creative ways to solve them”. For most entrepreneurs, however, the amount of money available is not sufficient to continue bootstrapping for a long period. Friends, Family & Fans (FFF) rounds, as they are known, are what their name suggests: funds provided by people that are not in the founding team, but that know them personally. While the investors may be seasoned, often they are not, and are helping out a loved one with the initial cash injection needed to see their idea to fruition. The funds can be provided as debt (a loan that is repaid as per the agreed terms), but is also often done as equity (whereby the investor is given a percentage of the company in exchange for the capital). As the business idea starts to take shape, further funds are needed to complete a proof-of-concept, build out a team and support operations. As a new business, commercial loans are very difficult to obtain. Friends and family may have a bit more to invest in the business, but typically the equity funding now starts to come from third party investors, such as angels, through crowd funding, or from specialised Venture Capital firms that invest at the seed stage. Angel investors are typically wealthy individuals who dedicate some of their money to investing in promising new ventures. In many cases, they are successful business people in their own respects, and have valuable expertise and networks to contribute in addition to their capital. Angels invest either as individuals or in groups / syndicates. In the past, an entrepreneur had to know an angel personally to get funded, but the market has become more open. A 2014 study by EY found that angels “command larger pools of capital than ever before and are increasingly better organized, making it easier for businesses to locate them and converse with them in an effort to secure capital”. Crowdfunding is an an increasingly available alternative for seed stage fundraising. Crowdfunding can either be rewards-based or equity crowdfunding. Rewards-based crowdfunding (Kickstarter and Indiegogo are market leaders) allow backers to fund a specific project or the development of a product and receive something in return (product or service), rather than receive equity in the company. With equity crowdfunding, investors take an equity share in the company in return for their investment. Crowdfunding platforms typically aggregate several smaller sized investments, enabling investors to take part in a raise, even if they do not have a large amount to invest. Early-stage Venture Capital is an alternate source of seed funding. Many venture capital firms, usually those with smaller funds, now specialize in investing at this earlier, riskier stage. Benefits of early-stage investment by a venture capital include access to the networks and know-how of the professional VC firms, as well as the possibility for follow-on investing and/or easier access to other VC firms for the next rounds of investing. Drawbacks are a rigorous and time consuming due diligence process before a deal can be agreed, and requirement to hand over some control of the company (VC firms, who are investing the funds of their Limited Partners rather than their own, tend to want greater control to minimize the risk of their investment). While the need for capital to keep growing the business feels urgent and founders are often tempted to take whatever money comes their way, selecting the right investors at the seed stage is critical to the success of the business. Beyond providing funds, investors at this stage typically bring a lot more to the table in terms of expertise, advice, network/rolodex and business acumen. They will play a more active role in the business than a later stage investor will, and finding the right fit is of utmost importance. Once the business’ concept has been proven, the startup will need its next capital injection to ramp up production, marketing and hiring. While there may be limited (or nil) revenue at this point, the business plan has been developed to a point where the product/market fit, size of the market and revenue projections are clearly communicable to potential investors (and backed by solid proof points). The first round at this stage is called the Series A round. It is the first significant round of funding raised from institutional investors, typically Venture Capital - either traditional Venture Capital firms, or Corporate Venture (the VC arms of large corporations). Investors from previous rounds, such as angels, may invest but usually are providing a small proportion of the funds, and therefore have little weight in setting the terms for the round. The amount raised at this stage will vary based on the industry and market, but are typically in the millions. If further capital is required to scale up the business, a second venture capital series may be required during this growth stage. By this point in the company’s development, there is usually a clear business model and traction in the market. Further capital is used to accelerate the scaling As the second round, it is known as Series B. Investors from the Series A round will often keep some of their funds earmarked for follow-on investments, and may participate in the Series B. 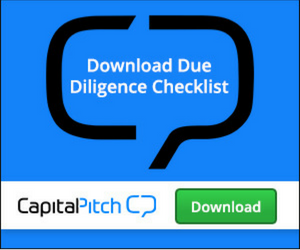 Other Venture Capital firms or Corporate VCs will come into deals at this more mature Series B stage. Some businesses will require further rounds to provide additional operating capital to achieve profitability, to continue expansion into new markets, to finance an acquisition and/or to prepare the company for a liquidity event (acquisition or IPO). These will be known as the Series C, Series D, and so on. At this stage, other institutional investors such as investment banks and private equity firms start to be the larger player in the rounds. Typically, the company will be valued at a high valuation with each round of institutional financing. If the company is overvalued too soon in the process, they may not be able to continue increasing their valuation and may have the challenge of raising a “down round”. “Down rounds can bring in much-needed cash that can give a company time to find a business model or turn things around. But they create complications for both past and future investors. And they are one of the most demoralizing things that can happen to a startup”, explains a Business Insider article. What all investors hope to achieve is a profitable liquidity event. A liquidity event can happen either through the sale of the company (acquisition) or through taking the company public (Initial Public Offering, or IPO). This “exit” is when those with equity positions will be able to cash them out and ideally receive returns well above their investment. Of course, the alternative ending is the dissolution of the company, which neither the founders nor the investors want, and usually results in all parties losing most, if not all, of their investments. This, however, is the outcome for the majority of startups and sophisticated investors invest in several companies, knowing that most of their investments will go bust, but that one very successful exit can reap significant enough returns to justify losses in their portfolio.